“Imagination is more important than knowledge.” A quote attributed to Albert Einstein. I’m all for knowledge but I understand that it can sometimes be quite limiting. Having a prior knowledge that something won’t work for example can prevent you from even trying it. Whatever it is might not work, but you may stumble across something else entirely. Indeed many modern day items were born that way. The humble Post-it note would never exist had a scientist not attempted to make the strongest glue ever. One batch went completely wrong and he created the weakest glue on the planet. It wasn’t at all what he was looking for but he found a purpose for it and the Post-It note came into existence. Imagination is really what we need when it comes to Christmas and especially Christmas 2011 when a certain financial fear hangs in the air. It is hard to ignore it at present with incessant and persistent media reports about banks and budgets and, on the whole, it is less than cheery. I suggest you turn off the radio and the television, put on some happy or maybe even Christmas music, and get yourself and your imagination into the kitchen and create a little magic. When you strip it all back to basics what is Christmas really about? It’s about people, family, friends and loved ones, sharing a little downtime in a cosy abundant haze of food and beverage. It doesn’t have to be fancy, but it has to be warm and welcoming. We all have enough socks, bath gel and hats and scarves to last us a lifetime so we won’t miss not receiving a bucket load this year. I’d swap presents any day for great food; you can’t eat the socks and bubble bath leaves a nasty aftertaste! While we celebrate the birth of Jesus on the 25th of December he was, according to all Biblical scholars, probably more likely to have been born sometime in September. However this lovely Christian celebration worked in very nicely with the existing Roman festival of Saturnalia. Effectively in pre Christian times they were celebrating a return of the sun just following the longest day of the year and so plenty of excess and fun was to be had by all in the dying days of the year. In the deep midwinter, they got together and looked forward to the lengthening days. As it was the darkest, coldest time of year it was also seen as an opportunity for the rich to give to the poor. Saturnalia, as the name suggests was a celebration of Saturn, who was the Roman god of agriculture and plenty. The pagan rituals were given a Christian makeover and so we now sing carols and exchange gifts and wish each other peace, joy and love. What better way to express that joy and love than to gather people around the table for a feast. Or to give a food gift that you may not have spent a fortune in cash on but that you poured your time into. You don’t need a mountain of shop bought sweets, just whip up a batch of fudge, mini cheesecakes, shortbread, biscuits or chocolate peanut butter cups; the list is endless. They will easily satisfy the sweetest tooth over the festive period. Pates and chutneys are also an easy make and very handy to have in the fridge for an unexpected gathering or even a spare gift. I love it when people drop by and we fill the table up buffet style with a great pick and mix hotch-potch of food and everyone just digs in. And you don’t have to make everything from scratch. There are some fantastic artisan food producers all over Tipperary. Throw a stone in this county and you’re likely to hit a cheesemaker or bun creator of some sort. Oh yes we are truly blessed. They deserve our support and many of the products are simply delicious. As usual I’ve rambled a little when my main focus this week was going to be pate. 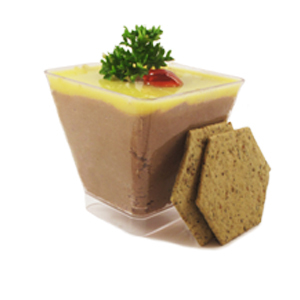 From simple smoked mackerel pate to duck, chicken or liver pate – it is a very enjoyable thing to make and always well received. It can be as smooth or as rustic as your taste desires and when it comes to making the dish, then it is definitely about imagination rather than knowledge in order to create a personal signature. The other handy staple in a fridge throughout December are sausages. Cocktail sausages can be worked a number of ways including glazed with a little alcohol or marinated in a sticky honey or sweet sauce. Of course if you can glaze and marinade cocktail sausages why stop there; ribs and chicken wings steeped in something tasty make great crowd pleasing food. For something simpler but perhaps a little fiddly, you could always just wrap some cocktail sausages in streaky bacon and roast them until crisp. As you can see none of the ingredients mentioned above are exotic, difficult to get hold of or even that expensive. The trick is to take the ordinary and do something extraordinary with it and there is plenty of inspiration for that. Dust down all those recipe books you have forgotten about, check out the cooking sections in the newspapers, pop to the library or look up the vast amount of ideas on the web. 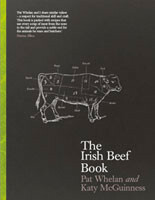 In fact imagination and inspiration are the foundations for everything we do at James Whelan Butchers. Simple tasty food handled with a little passion and a sprinkling of JWB fairy dust! (I suppose in these litigious and serious times it is worth clarifying that the fairy dust comment is a joke!) There are many wonderful time and money saving ideas on our website and in our shop at James Whelan Butchers Oakville Shopping Centre, so why not drop by either physically or virtually. Christmas 2011 needs to be festive not expensive, so let’s reclaim all that is good about it and enjoy the challenge of making it great.